Spot the opposites: a slow snail overtaken by a fast red squirrel, a cold snowman standing outside while a warm cat sits indoors, and a quiet baby sleeps through the sound of loud bagpipes. 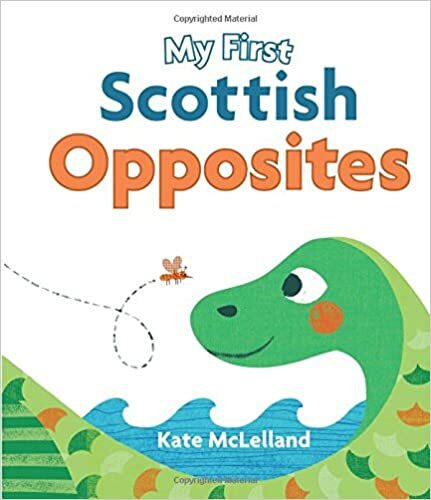 Young children will learn about opposites in this colourful board book with a Scottish twist! This bright board book is packed with lively images and simple, clear words. The chunky format and hardwearing pages are perfect for wee hands.